The huge penalty and other charges have made overloading nonviable for truck operators, forcing them to invest in higher capacity vehicles. Demonetisation may be grabbing all the eyeballs, but another crackdown is happening quietly elsewhere, and the impact is seen on the highways. The clampdown is on overloaded trucks, a common sight on Indian roads. The government is strictly implementing the rules on rated load — the load a machine is designed to carry — and those failing to conform face heavy penalties. As a result, sales of heavy-duty trucks have seen a sharp increase. The transportation industry is shifting fast towards 37-tonne and 49-tonne haulers from 25-tonne trucks. The transportation industry is shifting fast towards 37-tonne and 49-tonne haulers from 25-tonne trucks, said manufactures and fleet operators. Sales of 25-tonne trucks have nearly halved in the first seven months of this fiscal year beginning April, while those of heavy duty tippers and tractor-trailers increased 32% and 6%, respectively. “The shift to higher tonnage vehicles is driving commercial vehicle growth,” said Ravi Pisharody, executive director for commercial vehicles at Tata Motors, giving the credit for the new trend to strict implementation of the rated load rules and improving road infrastructure. In a notification dated December 31, 2015, the government directed toll plaza operators to tow away overloaded vehicles and hold them in a parking spot until proof is furnished on payment of penalty at 10 times the normal fee. The vehicle operators will also have to remove the excess load, as well as pay heavy towing and parking fees. Vinod Aggarwal, chief executive at VE Commercial Vehicles, said sales have been moving more towards higher tonnage trucks. “Overall sales of heavy-duty commercial vehicles (above 16 tonnes) have declined by around 1.7% till October this (fiscal) year. But the decline in the number of units sold is largely because the carrying capacity of vehicles being purchased today has increased,” he added. Good rains this monsoon season after two years of drought and a revival in the rural economy ahead of the festive season had triggered demand for the transportation of consumer goods, spiking sales in the heavy-duty haulage segment, said Aggarwal. Another factor that improved load availability was the ecommerce boom. While the market pickup had encouraged transporters to buy new trucks, the ongoing crisis over cash availability following demonetisation is hurting demand for transportation of goods and, therefore, for trucks. However, the industry expects the impact to be short term. In the long term, said automobile and transportation executives, demonetisation would drive growth as they expect banks, flush with funds, to cut rates and lend more, helping industrial growth to speed up. They expect the shift towards higher tonnage vehicles also to continue. 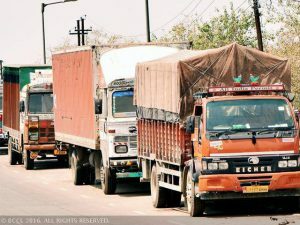 “The shift towards higher tonnage vehicles has started slowly but surely, and it should pick up pace over the next few years,” said Vineet Agarwal, managing director of Transport Corporation of India. Increased construction activity due to the government’s focus on infrastructure has aided growth in the heavy duty tipper space. Data available with commercial vehicle makers substantiate the trend: in the tipper segment, demand has shifted towards products with higher tonnage. In the first seven months of this fiscal year, as many as 29,921 tippers were sold, which is a jump of 32% over the same period last year. As much as 80% of the demand was for products in the 25-tonne and 31-tonne segment. Demand for tractor-trailers, largely in the 49-tonne segment, increased around 6% to 21,644 units. 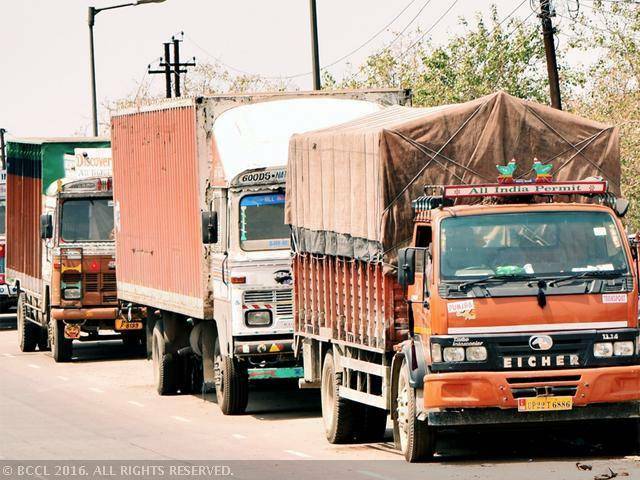 Next story This is one load that transporters don’t want India Inc to lighten…!!! Previous story GET ONLINE TRANSPORTERS’ DIRECTORY WITH TRUCKSUVIDHA !! !